BOSTON — Could Aunt Becky be headed to prison? It could go either way, experts say. Some of the wealthy parents accused of paying bribes to get their kids into top universities may get short stints behind bars, if convicted, to send a message that the privileged are not above the law, some lawyers say. But others predict that most, if not all, will end up with probation and a fine, particularly if they quickly agree to accept responsibility and cooperate, which observers anticipate many will do. “If the parents are well represented, it is reasonable to expect that possibly none will go to jail,” said former federal prosecutor Jacob Frenkel. “These are not the type of offenses for which judges exercising their discretion would normally put people in jail,” he said. 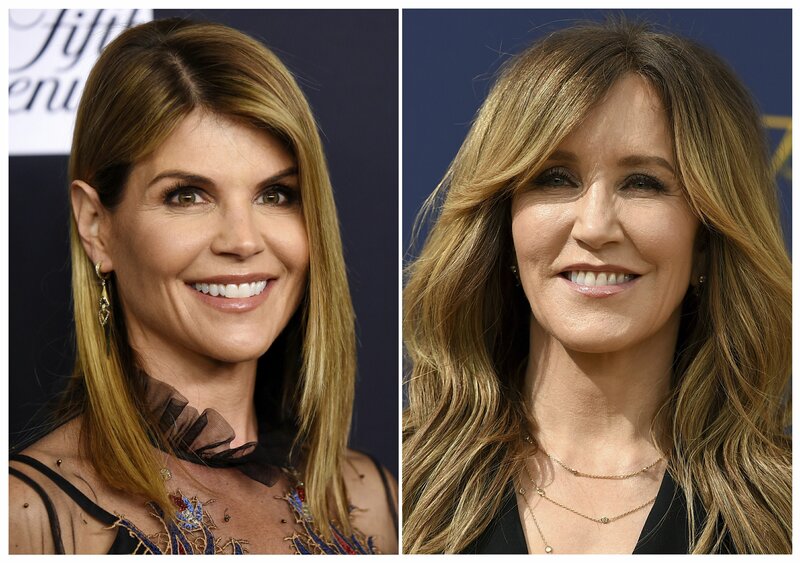 The parents ensnared in what prosecutors have called the biggest college admissions scam ever prosecuted by the U.S. Justice Department include Hollywood stars Lori Loughlin, who played Aunt Becky on the sitcom “Full House,” and Felicity Huffman of “Desperate Housewives.” Other parents are prominent figures in law, finance, fashion, the food and beverage industry, and other fields. Prosecutors have said, though, that they believe other parents were involved and that the investigation — dubbed Operation Varsity Blues — continues. The parents are charged with conspiracy to commit mail fraud and honest services mail fraud, a count that carries up to 20 years in prison, although defendants, especially first-time offenders, typically get far less than that. Attorneys for at least some of the parents are likely already negotiating deals with prosecutors, experts say. And authorities have lots of leverage to push parents to plead guilty by promising to bring more charges, like tax evasion or money laundering, if they don’t. Frenkel, now a white-collar defense attorney at Dickinson Wright in Washington, said he suspects many parents could wind up pleading guilty to a tax charge, for deducting the bribes from their income taxes, and get probation. Most parents could get merely a fine and community service, agreed Jeffrey Cramer, who was an assistant U.S. attorney in Chicago. But those who went to great lengths to participate in the scam or enlisted their children help them carry it out may spend a few months behind bars, because judges may not see a financial penalty as sufficient punishment, he said. “If you told (the parents) at the beginning of this that in addition to the bribe, you’d have to pay a $200,000 penalty and have to work at the Beverly Hills food bank, they’d probably take that deal,” said Cramer, now managing director of Berkeley Research Group consulting firm. The parents are accused of paying admissions consultant Rick Singer to rig standardized test scores and bribe college coaches and other insiders to get their children into selective schools. Coaches at schools including Yale University and the University of Southern California are also charged with accepting bribes. Singer secretly recorded his conversations with the parents after agreeing to work with investigators in the hopes of getting a lesser sentence. He pleaded guilty last week to racketeering conspiracy and other charges. Loughlin’s lawyers declined on Wednesday to comment. An email was sent to a communications firm hired by Huffman. If any parents decide to fight the charges, they could argue they believed the services they were paying for were legitimate and didn’t realize what Singer was doing, lawyers say. They could also try to paint Singer as a liar who is trying to take them down in order to save himself, experts say. “A high-on-the-food-chain cooperator is now reaching down below, and that gives an opportunity for the defense to exploit that the cooperator is facing a lot of time and therefore he is fabricating things,” said Boston criminal defense attorney Brad Bailey. But the mountain of evidence against them, which includes recorded phone calls, emails, bank records and flight records, will be difficult to overcome, attorneys say. “The defenses are about as viable as each of the benefiting kids making the varsity sports team,” Frenkel said. The parents will likely try to stay out of prison by arguing they believed they were doing what was best for their children and have already been punished enough by being publicly humiliated and losing jobs, attorneys say. But some experts say they doubt such a strategy would be successful. “This is not the most sympathetic case, and I don’t know how many judges want to bend over backward for any of these individuals,” said Ilene Jaroslaw, a former federal prosecutor who is now a white-collar defense attorney at Phillips Nizer in New York. “I expect that you’re going to see a number of these people spend some time in jail to send a message,” she said. Lawyers who have seen less affluent clients go to prison for crimes seemingly less egregious say it would only be fair.